Isabelle Daza and Kylie Padilla are cool breastfeeding moms! Isabelle Daza and Kylie Padilla are cool breastfeeding mamas! 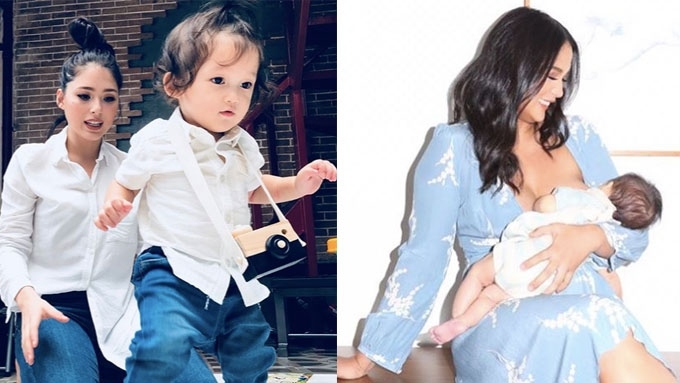 Moms who choose to breastfeed their babies can relate to Kylie Padilla and Isabelle Daza's Instagram posts. In Kylie's case, her world seems to stop each time Baby Alas is hungry. Her caption reads: "Before anything else." And because she is like a bottomless source of breast milk, Kylie quips, "I no longer call it breastfeeding. I call it leeching lol." But feeding Alas "kahit pa maraming tao sa paligid" has become a favorite mommy task of Kylie. She previously put out: "I said I would only BF you for 1 year and once again, I find myself rethinking my decision. It’s more about the bond, that I can’t let go of. "Apart from the struggles, breastfeeding is one of my favourite things about being mama. Even though sometimes it has been one of the most frustrating at the same time." Meanwhile, Isabelle's travels and OOTD posts are no longer just about picturesque backdrops and stylish clothes, they now include feeding moments, too. Here's a photo taken in Saint Tropez. Her caption: "Dunno know how long I can keep this up...nips be everywhere here"